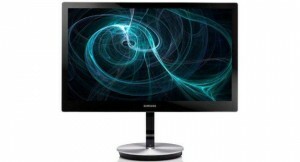 Samsung has announced the availability of a new monitor Samsung S27B970D, available in the range of Samsung Series 9. This model is positioned for use by professional users, to process graphics. The novelty Samsung S27B970D is based on a matrix of PLS (Plane-to-Line Switching), which, according to the manufacturer, allows to increase the brightness by 10% compared with IPS technology matrix. To ensure color accuracy, this monitor is using an integrated graphics processor Natural Color Expert and function Accurate Color Presentation. In addition, each monitor is individually factory calibrated. The monitor is equipped with a protective glass with anti-reflective coating. 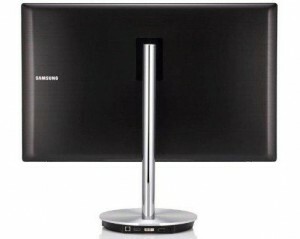 Monitor Samsung S27B970D has a diagonal of 27 inches and supports WQHD resolution (2560×1440 pixels). Response time claimed to be 5ms. This device is using LED lighting matrix. For new items maximum brightness in standard mode at 220cd/m2, and a boost mode – 285 cd / m, moreover the maximum value of dynamic contrast – 5,000,000:1. Matrix provides 178 degrees of viewing angles horizontally and 1 vertically. To connect the signal sources available are DisplayPort, Dual Link-DVI, HDMI (with support for MHL). Additional device has two built-in speaker to 7 watts and embedded USB-hub with two ports USB 2.0. This was all regarding the 27inches PLS Monitor i.e. Samsung S27B970D which is already on sale at a price of USD 1200.